The bad news: It’s Monday. The good news: It’s new release Monday, meaning that we have another great Standard Edition Blu-ray release coming your way and available to buy right now! Even within the confines of the futuristic Sugomori City, Katsuhira Agata is a very unique high school boy – someone who simply cannot feel any pain whatsoever. Bullied and isolated, his world is set to shift seismically when he meets a strange girl named Noriko Sonozaki. 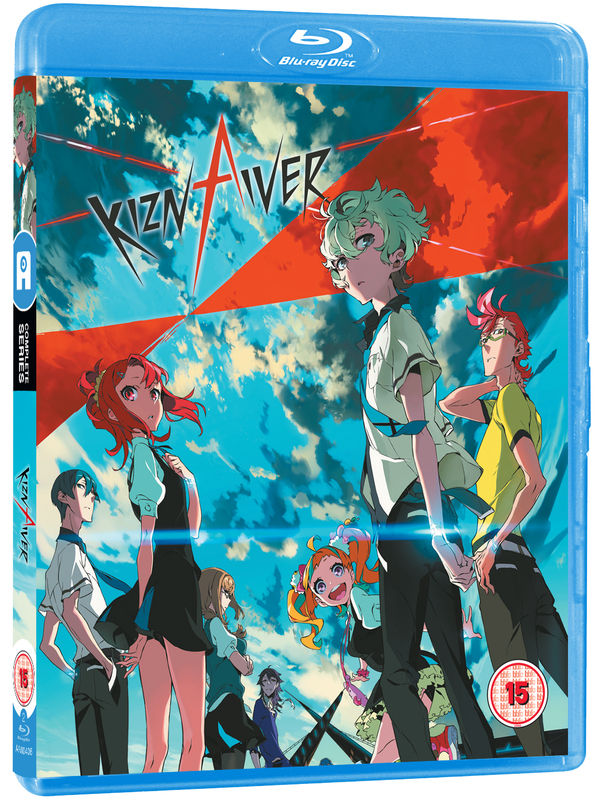 Before he knows it, Agata has been linked to a number of his classmates as part of a group created to share any pain each of them feels via a system known as “Kiznaiver”. Why not buy the series right here, right now from our own AllTheAnime.com web shop? As well as this new Blu-ray Standard Edition, you can still purchase the AllTheAnime.com shop exclusive version of our Blu-ray Collector’s Edition, which features not only a 40-page art book and Collector’s Edition packaging, but also a full-size 116-page deluxe art book too, showcasing a huge amount of incredible artwork from the show. As well as the above, don’t forget to check out last week’s new release post, where we gave you details of our Amanchu Standard Edition Blu-ray release alongside a reminder of our edition of Pigtails and Other Production I.G Shorts. We’ll be back with another new title next Monday, so until then, take care!